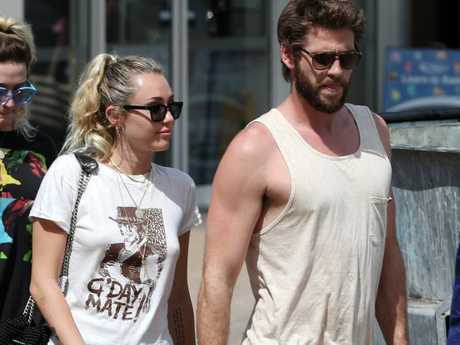 Have Miley and Liam split? MILEY Cyrus and Liam Hemsworth have called off their wedding, according to reports. According to OK! Australia sources, the Hollywood couple clashed over having children - with the Wrecking Ball singer, 25, not ready to become a mum. The Sun reported that a source said: "He wants kids and doesn't want to keep putting it off but it's not quite the timeline Miley had in mind. "Miley put off plans for the wedding and Liam was growing tired of it. "They haven't been getting along in recent months." They added: "It's something that everyone else seemed to get but Liam. "Family had been begging him to see the light for a long time, but he had faith in Miley. Now he feels like an idiot." There is no official confirmation of the wedding cancellation, or whether the pair have split. It comes in the same week that Miley deleted every single Instagram post she's ever made, and changed her profile picture to a solid black circle. The boomerang couple were on and off a few times before getting engaged in 2012, but by 2013 the wedding was off. Then in 2015 she had her ring back on, and last year they hit the Oscars together. Only a few months ago, the pair shared a video of Liam pranking Miley at home. Three days ago, Liam posted his last pic of him playing a saxophone with the caption: "I think it's safe to say I'm bringing saxy back. Dad jokes. (Not actually a dad)." There were also rumours the couple secretly wed in an intimate ceremony at their Malibu mansion. Speculation hit an highest in January when NW magazine claimed the A-listers tied the knot in Liam's native Australia when she went to visit him for New Year's Eve.